I suggest reading my previous posts on NSD and WiFi Direct before reading this one. This post requires some of things discussed in these two posts. If you are already aware of WiFi direct service discovery, you can directly check out my sample code on git. Like NSD, we can register and discover services over WiFi direct. The problem I faced with WiFi direct was one prefixed port for initial data transfer (as peer devices were not aware of the port information), after that the port was dynamic, and fixed port was released. Using WiFi direct service discovery we can append additional data (100-200 bytes) with the advertised service. So unlike WiFi direct, we can request port dynamically and append it with service. No prefixed port. If you have read my earlier post on WiFi direct, you know almost everything required for WiFi direct service discovery (except appending additional data part). Functionality is similar to NSD and code is similar to WiFi-Direct. All the parameters are familiar except for WifiP2pServiceInfo. Similar to NSD, this is a holder object for service information. In this case it is a WiFi P2P service info. For our use case, which sharing of port and IP information and then finally sharing data with other devices, we will use the former, it allows us to append a string map with the service. The later allows us to append a list of string, which can also be used. As mentioned earlier, WifiP2pDnsSdServiceInfo allows us to append a string map. here is how to do it. As you can see in the sample code above, a map called record is passed when creating instance of service info object. After this you are done with advertising your WiFi direct service. After this a the service discovery request must be issued. Set the type of service you want to discover DNS-SD or UPNP and issue the request. There is a reason code associated with every failure callback. Check those error code if you get a failure callback. // A service has been discovered. Is this our app? here in the text record callback you can see the map is received with whatever info was set. After this it is same as WiFi direct. you can check out my earlier post for this. You need to have a connection info listener same as WiFi direct example (old post), and you need to connect with the device, with info received as a part of DnsSdTxtRecordAvailable or DnsSdServiceAvailable callbacks (above code example). In the code example above you can see that the port information is received as a part of string map in text record available method, and in connection info callback you can get the IP address of the group owner of the current WiFi group. After that, its the same age old socket communication. Check out the google sample for this. My sample app source is available on git. 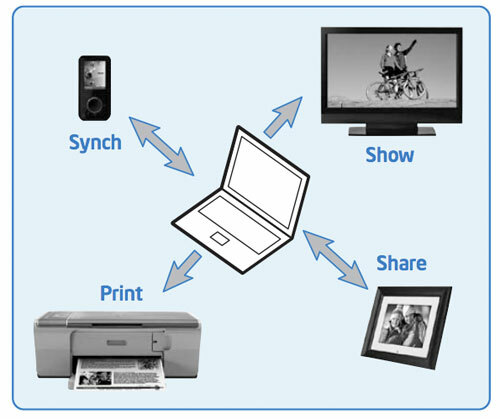 "socket closes after some time And can you please show how to transfer images from one device to other".